Anna and Wendy discuss episode 101 of Chronologically LOST, Episode 101 – Epilogue. Podcast length 1 hr 30 min. In this episode we welcome Axel and Aaron, one time proprietors of the LOST Mythos Podcast, to LOST in Order for a Never Let It Fade Away interview! These guys know LOST and they are wonderful guests and friends to have on the show. Podcast length 1 hr 34 min. As always, get in touch with us via our voicemail line (334-316-LOST) or email (lostinorderpodcast(at)gmail(dot)com)! We enjoy hearing from you. It’s time to celebrate – we’ve watched and discussed 100 episodes of Chronologically LOST! Join us as we listen to contest entries and draw winners, look back at highlights from Chronologically LOST and LOST in Order, and enjoy some silly bloopers we’ve collected over these 100 episodes. Podcast length 1 hr 12 min. Anna and Wendy discuss episode 100 of Chronologically LOST, Episode 100 – Epilogue. Podcast length 1 hr 12 min. Anna and Wendy discuss episode 99 of Chronologically LOST, Episode 099 – Epilogue. Podcast length 1 hr 16 min. Anna and Wendy discuss episode 98 of Chronologically LOST, Episode 098 – Epilogue. Podcast length 1 hr 13 min. 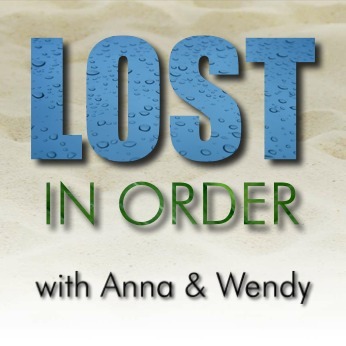 Anna and Wendy discuss episode 96 of Chronologically LOST, Episode 096 – 2007 (The Island – Day 14), featuring The End. Podcast length 1 hr 24 min.